Registration for the 2017-2018 school year is now open in Miami-Dade County, and MiamiJewishDaySchools.org, a new Jewish day school marketing initiative, can help parents choose the best place for their child. Thanks to a Federation Education Enhancement Grant, which helped develop and support the project, parents can easily learn about the 10 Federation-funded Miami Jewish day schools. The project is a collaboration between Federation, its subsidiary agency, the Center for the Advancement of Jewish Education (CAJE), and Jewish day schools in Miami-Dade County. 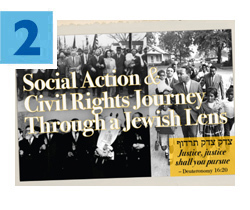 There’s still time to sign up for Federation's Women’s Philanthropy's upcoming mission to Alabama: Social Action & Civil Rights Journey Through a Jewish Lens April 24-26. Visit important historic sites in Montgomery, Selma and Birmingham while learning about Jewish involvement in the Civil Rights movement of the 1960s and its present-day implications. Brenda Nullman chairs the mission. For more information and to register, click here. 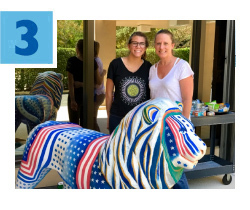 The magnificent Lion of Judah sculpture at the main entrance to Federation’s Stanley C. Myers Building has undergone a restoration, thanks to Laurel Susman Schwartz and Jordan Schwartz, a local mother-daughter team who wanted to express their deep appreciation to our organization. Jerusalem Mayor Nir Barkat presented the sculpture during Federation’s 2012 Mega Mission to Israel as a symbol of the everlasting bond between the people of Israel and Miami's Jewish community. Read more. 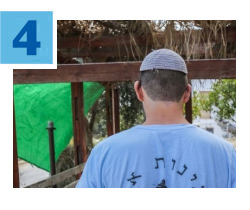 To help Haredi (ultra-Orthodox) Jews thrive in the Israel Defense Forces (IDF), Federation’s overseas partner, The Jewish Agency for Israel, recently created Tiferet Arazim, a pre-military academy that prepares them for enlistment. Your donation to the Annual Federation/UJA Campaign helps sustain the mechina (academy), which teaches the necessary skills and provides support systems to help soldiers adjust to their new way of life. Click here to donate now. Learn how your contribution helps Jews around the world. Read more. Through your support of the Annual Federation/UJA Campaign, Federation’s overseas partner, the American Jewish Joint Distribution Committee (JDC), helped more than 600 Jews across Romania celebrate Tu B’Shevat. 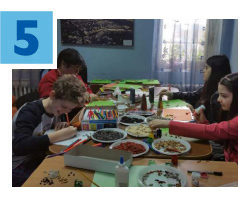 Organized by the JDC-supported Bucharest Jewish Community Center (JCC), the countrywide events marked the largest collective holiday observance in Romanian history, with seders taking place in nine different communities. The program included arts and crafts activities for local children and a collection of funds to support the planting of trees in Israel.